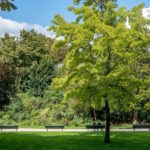 In the village of Charonne (20th arrondissement), few steps from the surprising Saint-Blaise Street, le Square des Grès (Grès public garden) is one of the most unusual garden of the 20th arrondissement, and even of Paris. Surrounded by small houses, it offers a pleasant and quiet atmosphere, and call to mind the countryside landscape of this district before its annexation by Paris in 1860, then the construction of big buildings in the sixties that have strongly – and sadly – disrupted it. Nowadays, the “village de Charonne” of the 19th century has become “village Saint-Blaise”, gathering rue Saint-Blaise, Saint-Gemain-de-Charonne church, rue Vitruve and rue des Balkans. 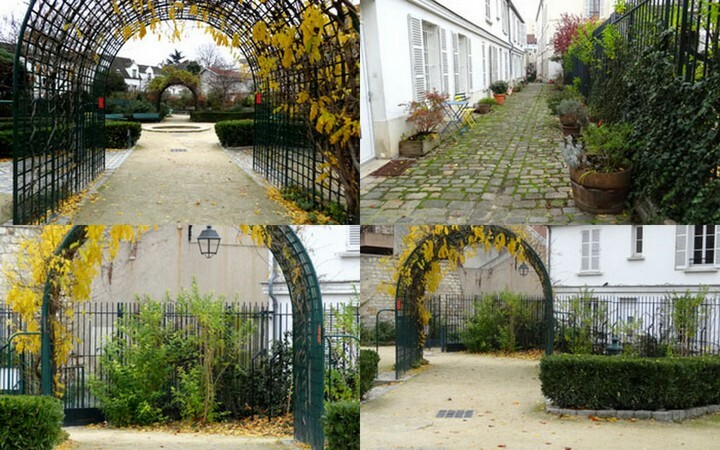 Built over the ancient “Place of Charonne” (where formerly were the justice posts of the “Seigneur” of the village), the public garden is decorated with plant-covered pergolas and is full at spring of wisteria, honeysuckle and roses. 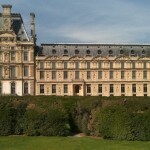 Between le Louvre and the Tuileries Garden, a wonderful green space adorned with Aristide Maillol sculptures. 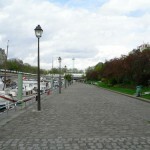 A charming garden alongside the only marina of Paris.